33 Bradhurst Ave , New York , NY 10030 - 2 bedrooms, 1 bathrooms. Brownstone building, the apartment is located on a row of browstone buildings. Near all major transportation taking you downtown Manhattan. We are located on West 145th Street, Duane Reade on the corner. Starbucks on the other corner. Around the corner is a Foodtown Supermarket. Excellent location. 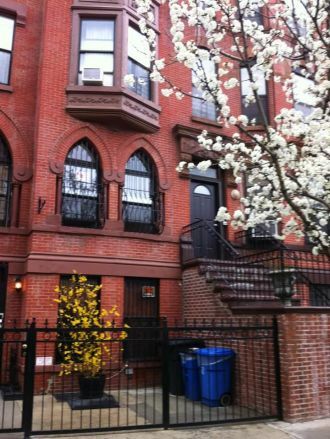 Brownstone, near all transportation into the city. This Apartment in New York , NY features 2 bedroom(s), 1 full bathroom(s), and 0 half bathroom(s). It's available with a Depends lease.